23 x 15 x 16" Blue Space Age Totes. 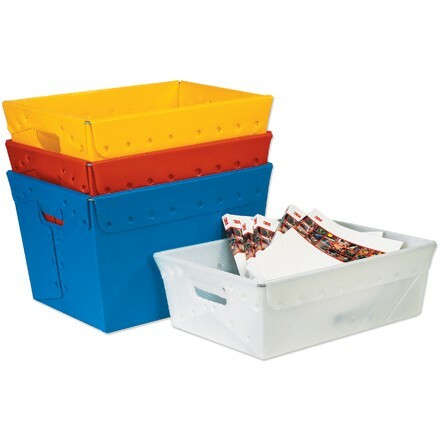 Perfect for transporting and sorting parcels and mail. Lightweight plastic construction featuring reinforced steel frame. Die-cut handles for convenience. Holds up to 80 pounds.